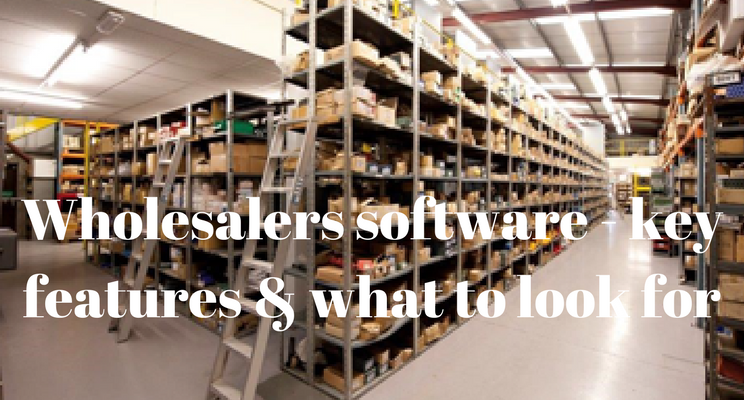 How do you select the best Wholesalers software solution for your business? Begin by finding a specialist supplier who really understands merchants and trading companies. Ideally one based in the UK with the all important UK based software development team. arising requires software which has been created from the ground up for wholesalers. Wholesalers software solution packages require intimate knowledge of wholesaling. So look for a company that has many installations and happy customers. On the one hand, you need to be able to see the big picture, i.e. via an at-a-glance dashboards. image of the product next to the text. Look for integrated stock control software and website systems. – you need software that will grow with your business now and in the future. It is critically important that the vendor offers integrated websites for wholesalers. Look for examples of their live websites when you visit their website. Order Entry validation rules, Standing orders, Lump sum discounting and Double Discounting. Returns, Cost Centres, and Auto VAT selection per supplier. Kits (Sets of components / interchangeable), Stock take – Auto compare system to actual & adjust. Process Flows: essential steps to be followed. SMS Texting, Skype, Gtalk, Audit Trails, Custom Fields and Custom Objects. expertise to add on new companies and locations seamlessly. for further information or to arrange demonstration. This blog may also help: Do you think of your business software as a cost or as an investment? Image courtesy of M&S Distributors.